Choosing the best set of filters for your Mavic Air Drone is tough. They have a big effect on the quality of any video you take, especially if you incorporate motion blur, which is when things move in the shot. Without the right motion blur, it just looks unnatural. The other thing to keep in mind is quality. The glass has to be good enough to allow the drone camera to do its job as well as ensuring the normal operation of the gimbal (badly designed filters can stop the gimbal calibrating on startup). So, you want to make the right choice. 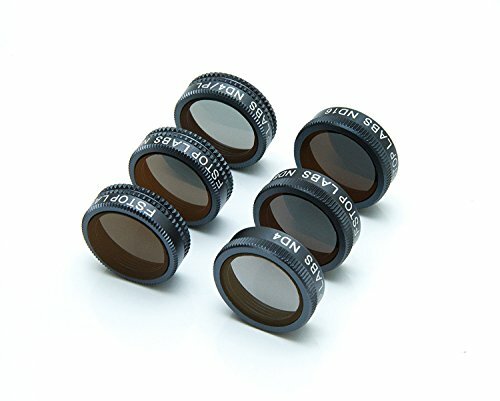 Although it is early days with the Mavic Air and there is not yet a lot of information on filters, I have collected everything I could find, and sorted it all out below for you to make the best decision. 2. Polarisers are less important, they reduce the glare/reflection off of anything wet (including water :>) and glass. You can get them alone, or most often in combo with NDs. But, you have to get the angle right and shoot in the right direction for it to help in some cases. Polar Pro have been creating top-end drone gear since way back in the DJI Phantom days (I know, it just seems like yesterday, right?). 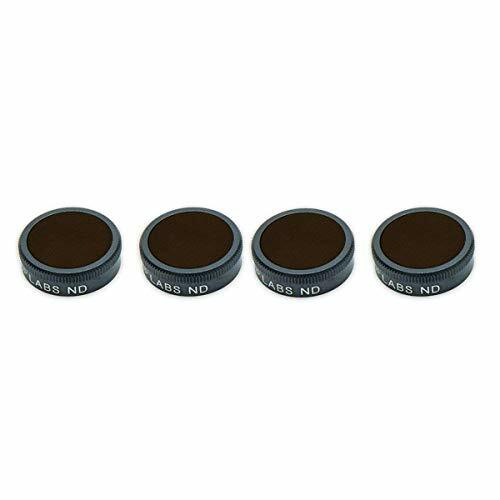 I own a set of their ND filters for my Mavic Pro and they are super-high quality. They are always improving on the designs as they learn more about the drones, so don't be afraid to give them feedback. They are one of the first companies (no surprise) to create Mavic Air filters, and they have a huge selection to choose from. The main difference (as you can see in the detailed table) is whether they are ND or ND/Polarizer combination filters. 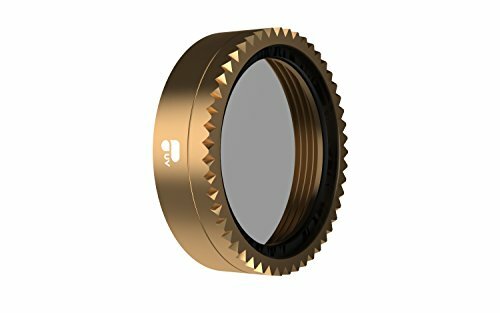 They also have a plain UV filter (great for protecting the lens) or a higher stop (32/64) set called Limited, if you work in brighter conditions (water, snow, beaches etc). They also differentiate between their Standard and Cinema series (black vs gold in the images below). The Cinema has a multi-coated glass with higher quality optics if that matters to you. Also keep in mind that the Mavic Air comes with a UV filter already, and that screwing filters on and off is very easy (compared to other drones from DJI). Sandmarc are quite new to the filter game from what I can see. 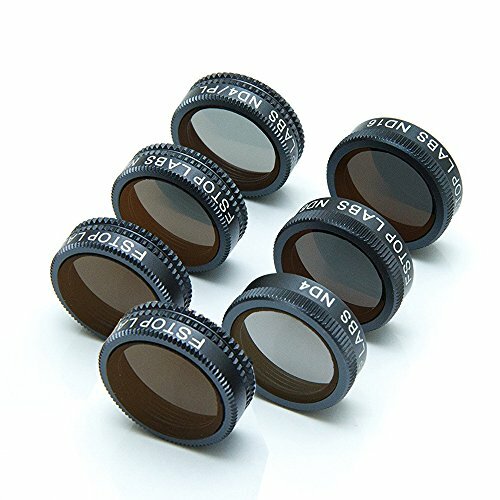 When I first reviewed all the Mavic Pro filters these guys were actually no where to be seen (2017). However, since then, they have gotten mostly 5 star reviews for their products, at least for the Mavic Pro and Phantom. 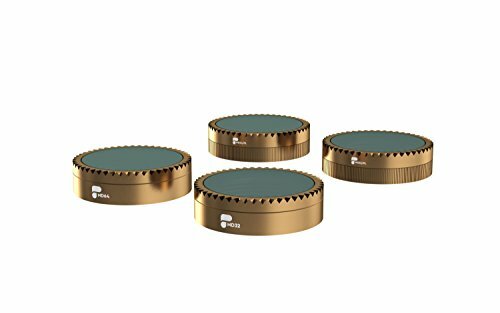 Their Mavic Air filters are too new and not yet on Amazon, so I could not find any reviews, but if they stack up against their others, they should be a good buy. Like Polar Pro, they have quite a few combos (polarized and ND) worth checking out. I have compared them in a table below to make it easier for you. If you do buy them, let me know how they go. 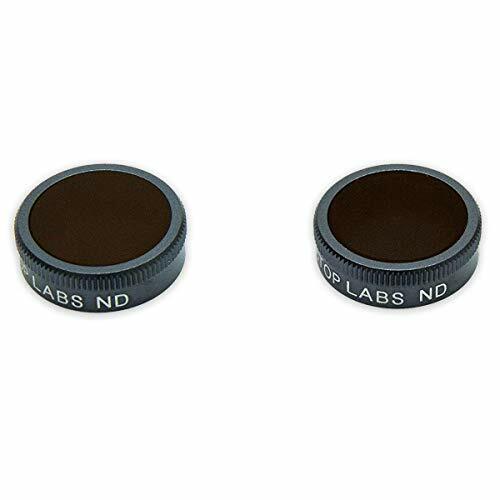 The main sets are plain ND filters (one with a simple polarizer too) and combination ND/Polarizers, the last one with a standalone polarizer too. 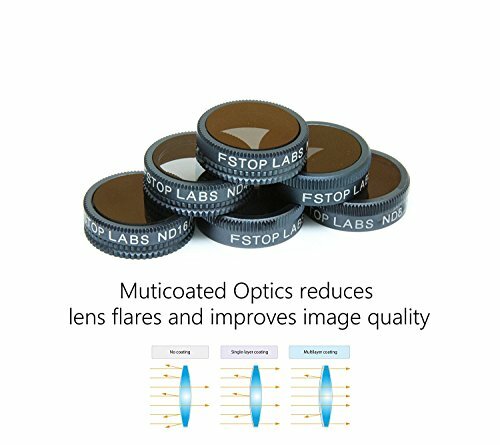 Another interesting option is the filters from FStop Labs. These guys make a lot of stuff for drones, but do not have as much experience or product range as those two above. 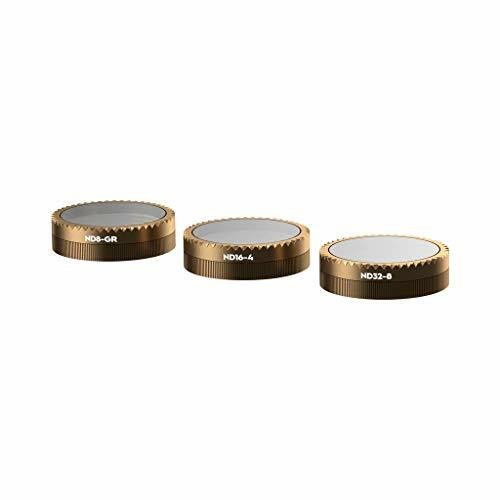 They have only two main options: the ND4 - 16 range (3 filters), and the ND 32 & 64. Both sets come with the ND and ND/Polariser combo. To be honest, I would go with the ND4 - 16 range and see if you really need a 32 or 64. If you shoot often in very sunny/bright conditions, then yes. But not all of us live in such places. 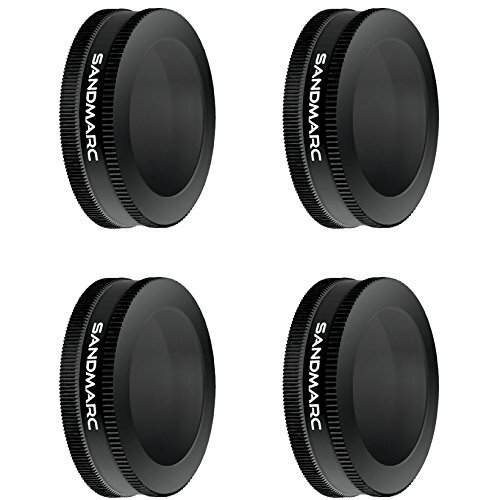 These filters are also a bit cheaper than both the PolarPro (which are probably some of the best) and Sandmarc (which are a great option too). The only downside most people complain about is that the case the filters come with is too large. And that is not a big issue, is it? 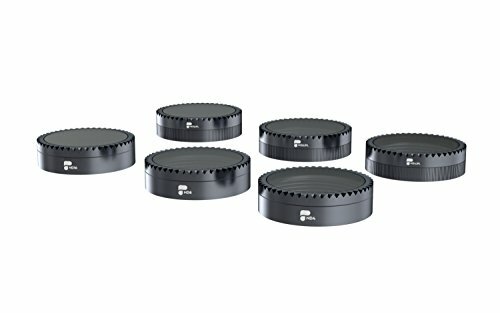 DJI themselves always come out with a simple filter set, which might be worth checking out if you want to order directly from them. They are a ND 4, 8 and 16 set. I have also seen a whole bunch of unknown brands who seem to be selling the same filters under different names. Not sure I really trust the quality of these filters, but I thought I would let you know about them anyway. Just in case you are not up to speed on the uses and reasons for even owning these kinds of filters, I have written a detailed explanation below. It is worth reading all of it if you are unfamiliar with the world of cameras, video and filters. The most useful one is the ND, so if you have to choose, go for that. Here is what they both mean and do in detail. A neutral ​density filter is kinda like a pair of sun glasses. It makes everything darker. It is designed to only do that. Nothing more. Why would you want your image or video darker​? Because of how cameras & video cameras work. When you are shooting video you want to have a shutter speed that is about double your frame rate. And likewise, if you have a framerate of 30fps, then you would select 1/60. Even if you reduce the ISO to 100, you will usually not achieve that. Try it. By adding a Neutral density filter you can remove so much light that you can get down to your "ideal" frame rate VS shutter speeds for video. And trust me when I tell you that if you are serious about having smooth, not jumping or bad edges on your video - you want to do this right! Depending on just how light it is (midday full sun, or just a bit cloudy) you will have to use different ND filters. That is why they come in sets of 3 or 4. Each one blocks a different amount of light​. These babies are a little bit different because they are only useful in specific situations. The main idea with the circular polarizer is to reduce reflections or make things like the sky bluer. Circular polarizers take advantage of a principle in physics where they can block light not aligned in a specific way. 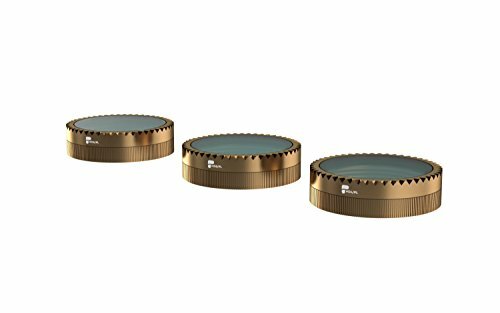 There are loads of reasons to have and use a polarizer and it is something you want to consider when buying your Mavic Pro filters. Some sets come with them. Others have them with the ND filter itself. Others don't have them at all. Although you can buy an extra or replacement UV filter from Polar Pro, the Mavic Air ships with one screwed on. This will not actually do anything visually for you, as we don't see UV light, but it's a great lens protector. So, when you are using your other filters, you will have to unscrew this one first and put the other one on. Don't forget to put the UV one back on when you are done as it's always good to protect one of the most expensive and sensitive parts of your drone - the camera! ​Let's look at these in more detail so you get what I mean. These filters have to be attached and removed quite often, depending on the lighting conditions. So, you want that to be easy to do. Not only that, but some filters I have read about have a tendency to damage either the filter or the drone if attached in the wrong way. Remember, the camera on the Mavic is pretty small and hanging from the gimbal, ​so you want this to be as smooth as possible. There are different ranges of ND (Neutral Density) filter - how much light they block, and some also come with the polarizer combined. Other sets you have a combination of ND filters only, or one polarizer in the set. This has been quite an issue for non-DJI filters from the reports I have read in the forums. Especially back in the early days (late 2016, early 2017). Because these filters attach to the front of the camera, and the camera is so small and light in the first place, the filters can disrupt the gimbal and stop it from calibrating. That means you have to remove the filter, calibrate and put it on again. And even then, it might not work. Some of the filters can be hit and miss, so in this review I have done my best to only include the ones that people say are working. However, because of variations in manufacturing, it seems you can sometimes just get unlucky and have to return the filters.